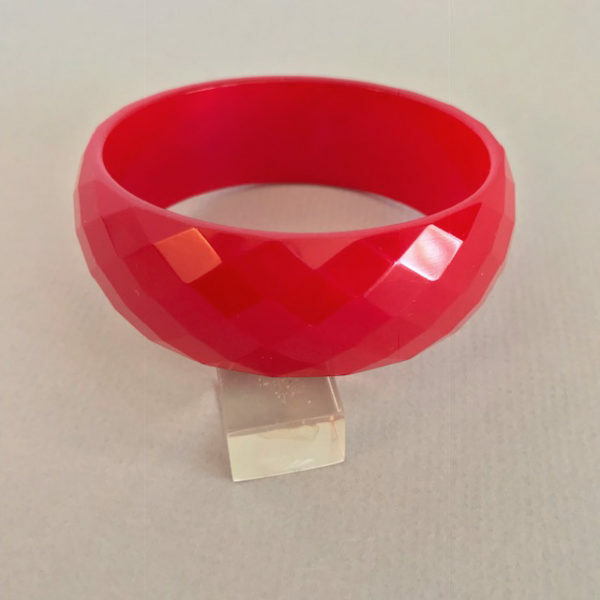 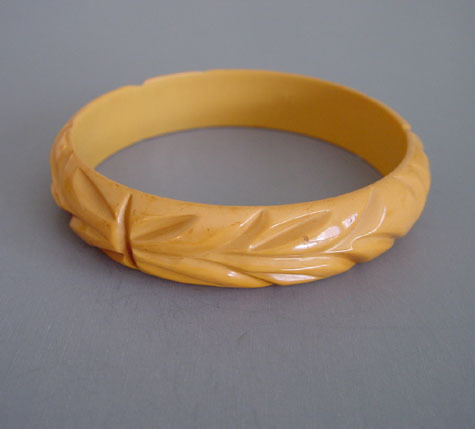 BAKELITE wide translucent red faceted bangle, 2-1/2" by 1" with 3/16" walls. 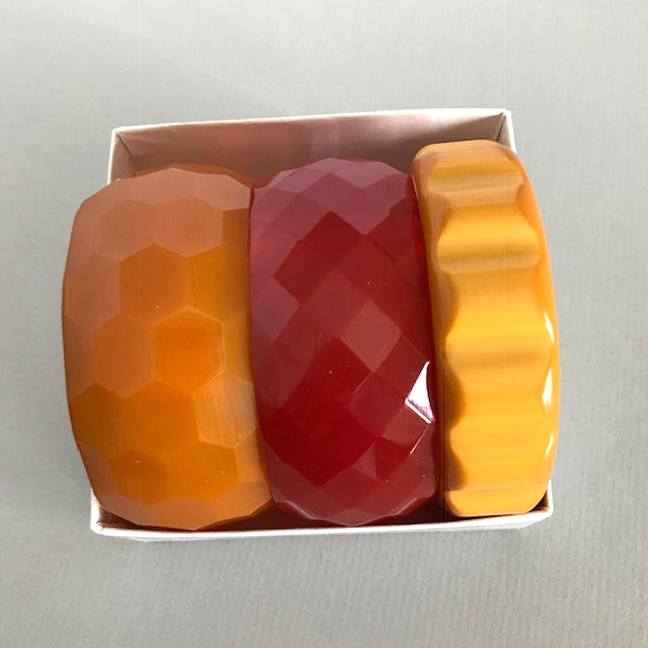 Circa 1940, faceted bangles like this reflect light in an interesting way. 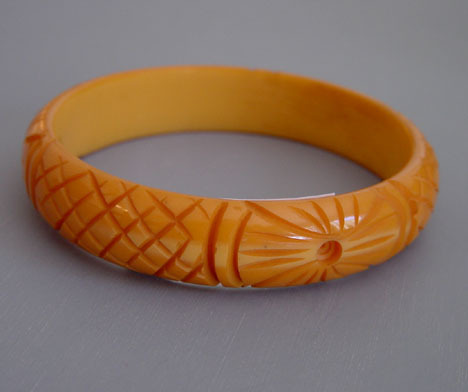 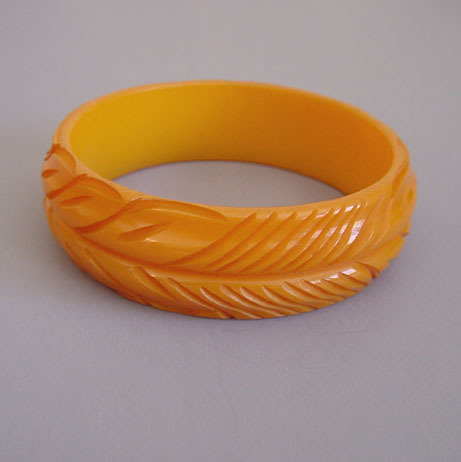 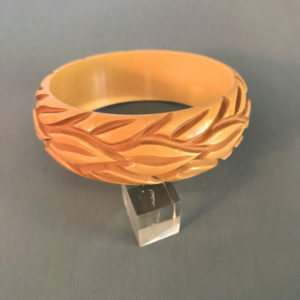 The last photo is just an example of the many ways this bangle can be worn with others, and this price is for only one bangle.